Atlanta's Key! links up with Lil Tracy for his latest release, "On Deck." His first release in just under a month, Key! has been hard at work racking up millions of plays on his SoundCloud in the past year as well as some notable collaborations, including ILOVEMAKONNEN. The two are said to be huge fans of each others work. 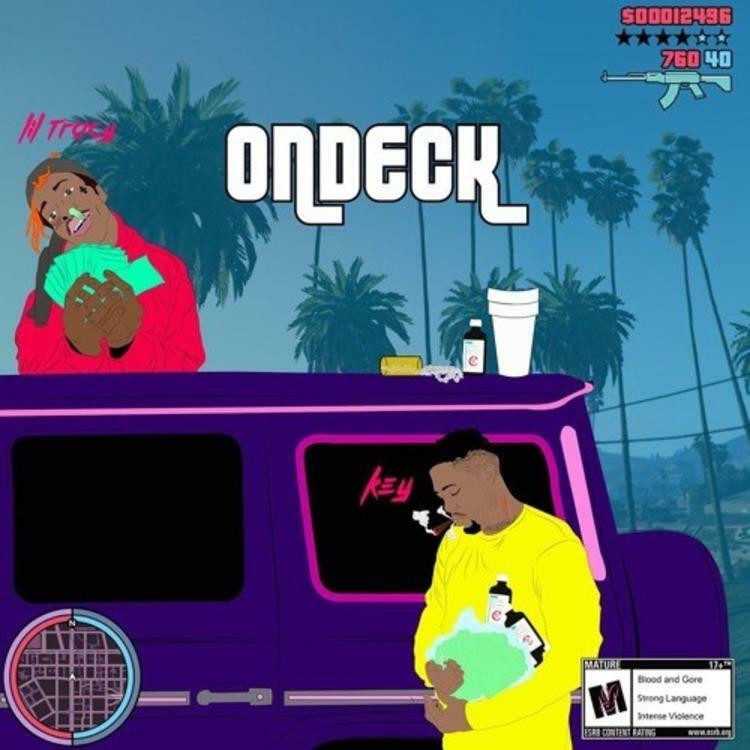 In his latest, "On Deck," the minimalist trap atmosphere allows for himself, alongside Lil Tracy to weave in and out of their verses with a banging chorus. Both stunt hard and use some unique references throughout. Key! has been making some serious noise in his hometown of Atlanta as well as the rest of the country and he's sure to put out even more high-grade work as we get deeper into summer.